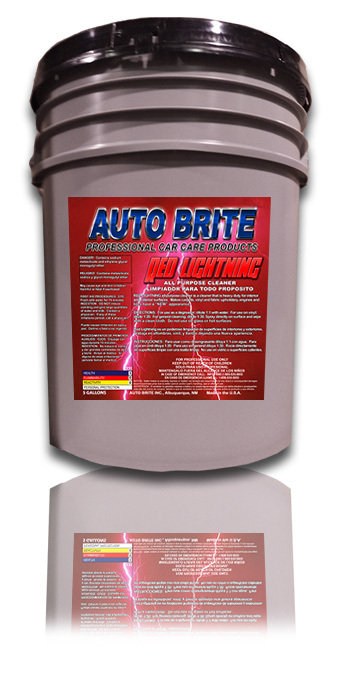 Red Lightning - A safe multi-purpose cleaner/degreaser for most interior and exterior applications. Cleans carpets, fabrics, vinyl, engines, tires, rims, wheel wells, convertible tops, door jambs and garage floors. The strength and versatility has made it our most popular multi-purpose cleaner.